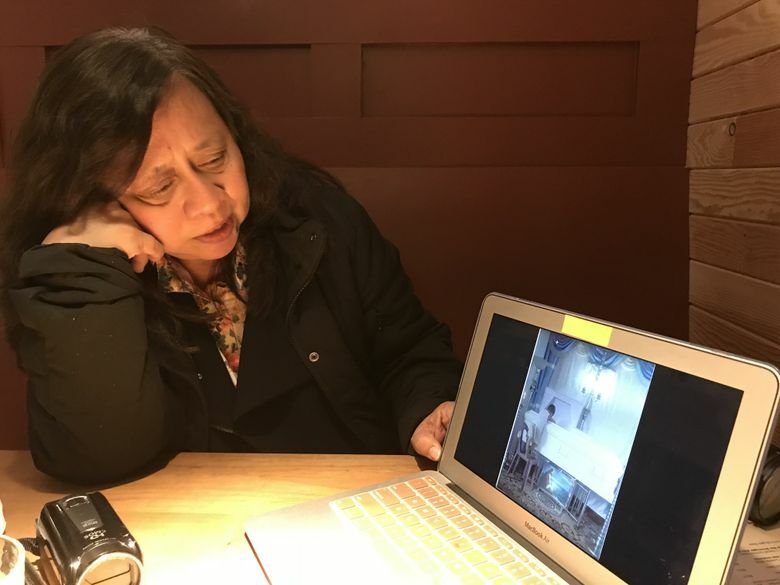 Raissa Robles, in Seattle on a recent book tour, worries Philippines President Rodrigo Duterte represents a move away from democracy toward dictatorship. Sound familiar? Raissa Robles is worried that her president wants to move from democracy to dictatorship, to turn time back rather than to move forward. He’s a guy who can be oafish and crude, who says things that are anti-democratic. But then some people find him charming, she said. Her president is Rodrigo Duterte of the Philippines. These days, you can find versions of him in democracies around the world. Who did you think I was talking about? 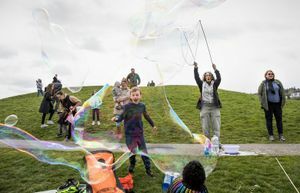 Robles, a journalist and author, has been on a monthlong U.S. book tour that just ended with a stop in Seattle, which has long had a significant Filipino-American population. Our own president, Donald Trump, is traveling around Asia this week, and he’ll meet with Duterte in the Philippines next week. Our two countries (the Philippines were once a colony of the U.S.) have a long and close, but not always smooth, relationship. Last Thursday evening, Robles spoke to an enthusiastic crowd at the Filipino Community Center in Southeast Seattle and, just before that, Robles and I talked about how she came to do the work she does. Duterte and his followers routinely demean the press, and journalists have been killed in suspicious circumstances, so it takes courage for her to do her job. Robles didn’t set out to be a crusading journalist. She told me she grew up in a middle-class family — there were three children, her father was a law professor and her mother designed and made clothing. Robles said she was not a political person. She went to Catholic school and remembers in first or second grade singing, “This Land is Your Land,” “Dixie” and other American standards. Imports from America were everywhere. “I grew up loving America,” Robles said. Her father told his children they should migrate to the United States when they grew up. But none of that touched Robles enough to pull her into political action. Marcos deepened his control even after lifting martial law. When she was in college and students were becoming politically active, Robles said that her father, a human-rights lawyer, told her to concentrate on her studies and leave the activism to him. She started her journalism career writing about business, but eventually she was assigned to cover Imelda Marcos, the wife of President Marcos. About a year later, something happened that opened her eyes. Opposition leader Benigno Aquino Jr. returned from self-imposed exile in the U.S. on Aug. 21, 1983, and was assassinated at the Manila airport. She realized the sunny reports that dominated media coverage had left people uninformed. She started digging, and she has continued that work despite vicious social-media attacks and fears for her safety. Marcos would remain in power until he had to flee in 1986 to Hawaii, where he died in 1989. But his family and supporters have remained influential, and Robles said they have been supportive of Duterte. Her new book is a reaction to the election of Ferdinand “Bongbong” Marcos Jr. to the Senate in 2010. In trying to understand why people would support another Marcos, she found that many people have forgotten what Marcos rule was like, and many young people never learned about the details to begin with. School history books end in 1972, just before martial law, she said. She wants to people to understand what the years after that were like. 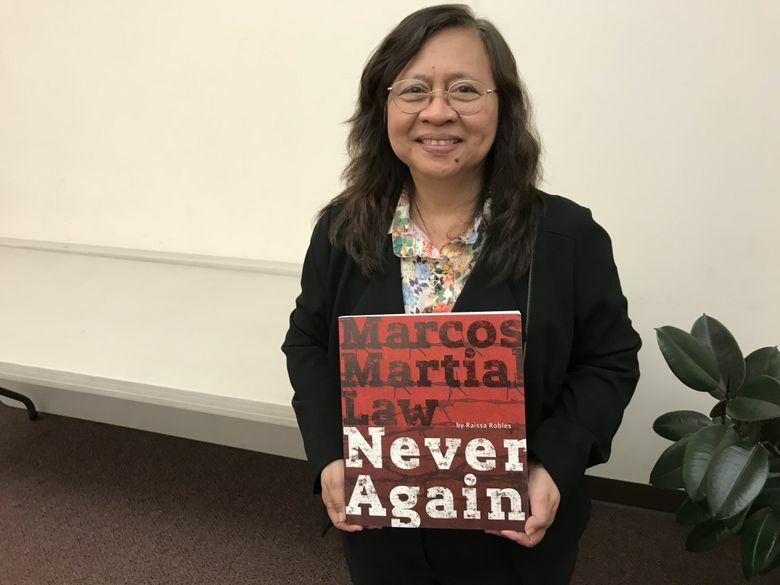 In the book, “Marcos Martial Law Never Again: A brief history of torture and atrocity under the New Society, ” Robles sees echoes of Marcos’ tactics today — the demonizing of critics, appeals to fear, promises of a return to better days. Duterte played up fears of drug-related crime during the campaign and promised he would end drug abuse and trafficking quickly and forcefully. Bodies piled up in morgues, and no one knows exactly how many, Robles said, because the police won’t give death reports to the press. Media estimates of deaths are in the thousands, and international outrage has been strong. Trump, notably, has declined to criticize Duterte. Last month, Duterte ordered regular police to cease operations in the 15-month war on drugs and leave the country’s drug-enforcement agency in charge, following rare public protests. Support for him at home has declined some, Robles said, but it is still strong. He’s not a dictator, she said, but it will be up to the people of the Philippines to prevent him from becoming one. We in the U.S. need that reminder, too.